Don’t miss an exciting opportunity to see Utah Symphony Viola Section member Elizabeth Beilman in recital! She will be performing works by Clarke, Britten, Schumann, and Sarasate. Do you have an upcoming performance that you’d like the Utah Viola Society to know about? Contact us and we’ll do our best to spread the news! It’s that time of year again. The excitement of the holidays has settled down, the Outdoor Retailers are here, ski season is upon us, and most importantly it’s time for the Primrose Memorial Concert! 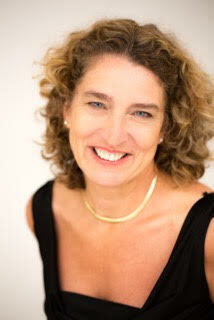 This year’s guest is Jutta Puchhammer-Sédillot. Born in Vienna, she now makes her home in Montreal, Canada. As part of the festivities honoring the memory of the great Scottish violist William Primrose, Jutta will be presenting a masterclass and a recital at BYU. She is presenting a fascinating program of infrequently performed pieces, including works by Vivaldi, Jean Coulthard, Henri Marteau, Carl Reinecke, Stan Golestan, Georges Hüe, and Henri Büsser. Learn more about William Primrose’s connection to BYU here. Born in Vienna, Jutta Puchhammer-Sédillot trained at the Wiener Hochschule für Musik und Darstellende Kunst under Siegfried Führlinger and perfected her art at the Eastman School of Music in Rochester, New York, under the direction of Heidi Castleman. As a guest soloist with the Frauen Kammerorchester, this renowned artist has performed in recitals in all the major European centres. She has also played as a soloist with the Kayaleh Chamber Orchestra of Geneva, the Bogotá Philharmonic Orchestra, the Orchestre Métropolitain du Grand Montréal, the Orchestre symphonique de Laval, the Fine Arts Quartet, the Colorado Quartet, Musica Camerata Montréal and the Quatuor Alcan. She is a founding member of the Trio Kegelstatt, the Quatuor Claudel, the Trio à cordes de Montréal and the Duo Puchhammer-Desjardins, is currently solo violist with the Orchestre symphonique de Laval and held the same position with the Orchestre des Grands Ballets Canadiens for several years. Ms. Puchhammer-Sédillot plays regularly with internationally known artists, such as Lorand Fenyves, Janos Starker, John Perry, André Laplante, Chantal Juillet, Laurence Kayaleh and Anton Kuerti. Ms. Puchhammer-Sédillot is an associate professor of viola and chamber music at the Université de Montréal Faculty of Music, where she served as director of the string section from 1999 to 2010. She has been a guest of renowned institutions as a viola teacher, including Juilliard School of Music and the New School in New York, the Hochschule für Musik in Vienna, the Conservatoire de Lyon, the Universidad Central in Bogota and several universities in Western Canada. She also works with summer camps organized by the Perlman Music Program (with Itzhak Perlman), the North American Viola Institute (with Heidi Castleman), the Orford Arts Centre and the Teach to Teach Teach (TTT) program offered in Chile. As a performer and researcher involved in the development of the alto repertoire, Ms. Puchhammer-Sédillot has premiered works by numerous Canadian composers, including Isabelle Panneton, Ana Sokolovic, Rachel Laurin, Alan Belkin and Tim Brady. In addition, she has recorded two albums devoted to the rediscovery of rarely played works: German Romantic Works and Alto Romantic Fantasies with the Duo Puchhammer-Desjardins. Passionate about teaching viola, she is currently working on her first book, The Viola Lesson, in collaboration with Ms. Castleman and Kathryn Steely. 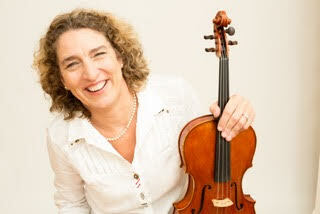 As a musician and speaker, she has taken part in international viola conferences since 1997 in Europe, the Americas, Australia and South Africa. In June of 2006, she presided over the highly successful 34th International Viola Congress, held at Université de Montréal, which earned her the position of President of the Canadian Viola Society. She also organized the first Canadian Viola Festival, held in October 2009 at Université de Montréal. Her devotion to the international viola community has earned her the Maurice Riley Award.